Did you know you can shop more of my deals on the LIKEtoKNOW.it app? I will be posting exclusive "finds & deals" I find daily - like the items above. 2. Search for me "Daily Style Finds" under the influencer tab. I love these neutral flip flops for only $20. I want to buy these snake print pumps. This pretty floral maxi dress that is on sale. This lilac blazer for spring. 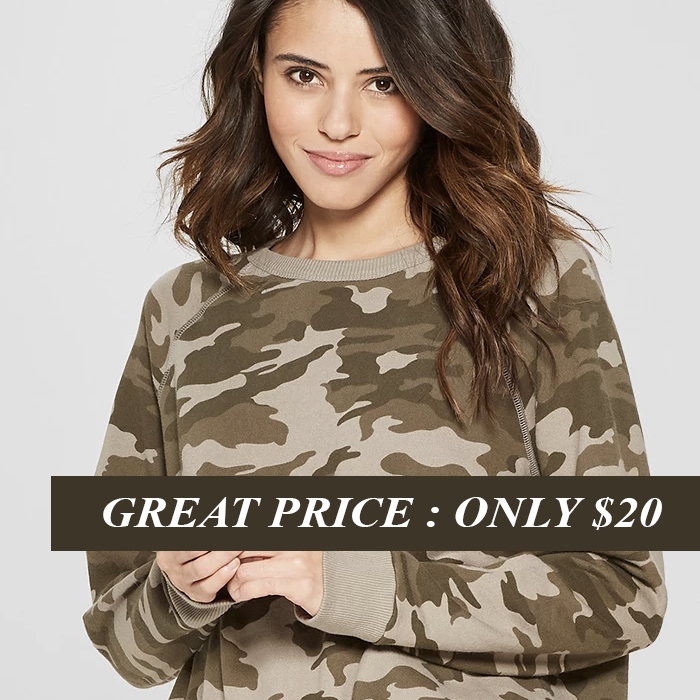 These crop camo flares on sale for only $24! I cannot believe this plaid peplum top is on sale for $6. These suede lace up sandals for up to 25% off. This pink scarf on sale for $15. These wicker boxes are on sale with free 2-day shipping. This off the shoulder ruffle swimsuit for only $25. This white ruffled dress for only $40 (also in black). I want to buy this striped henley for only $9. I have one of these closet systems - and it is a reasonable way to be organized. 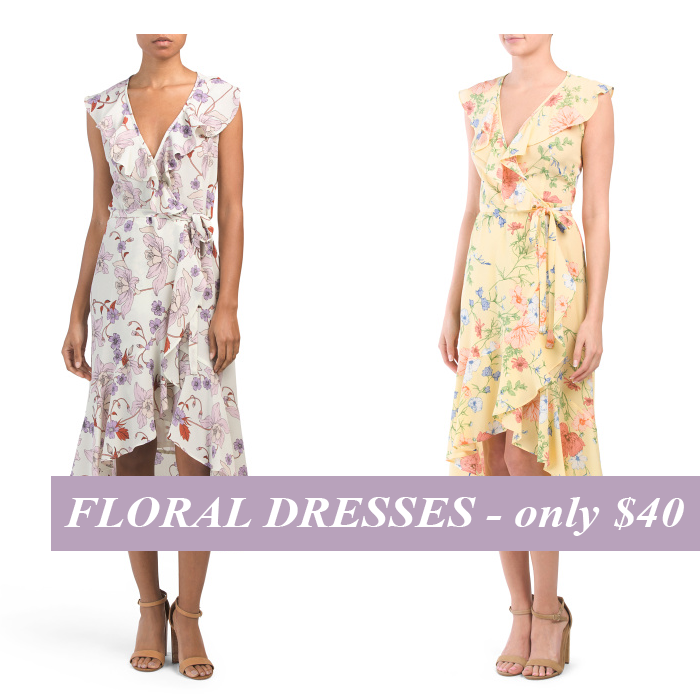 This floral chiffon babydoll dress for $35. This cute pink bag is 50% off. 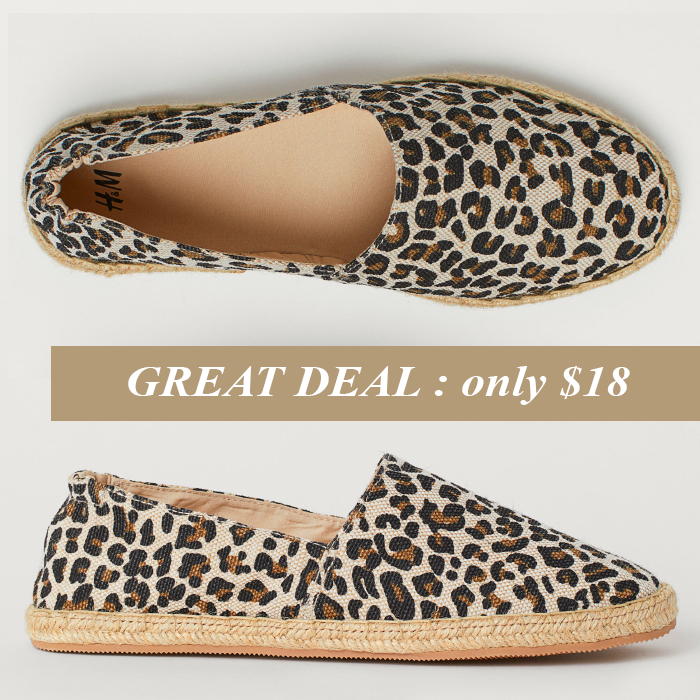 These suede scalloped espadrilles for only $40. These striped wide legged pants would be cute with a tank and slides this summer. I have no need for it but I really love that lilac blazer - it is so beautiful! I love all the soft colours out right now. Both of those dresses would be great for my daughters graduation. Love the wrap style! Love the high low hem on those dresses!